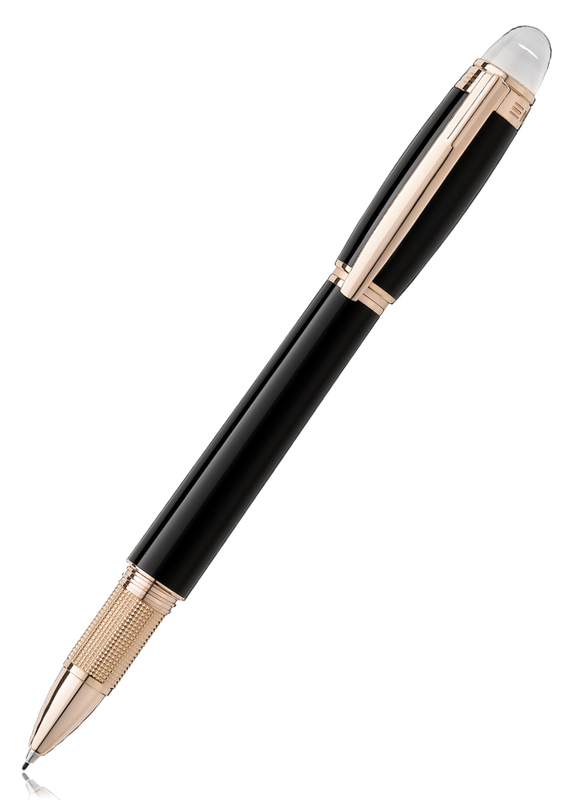 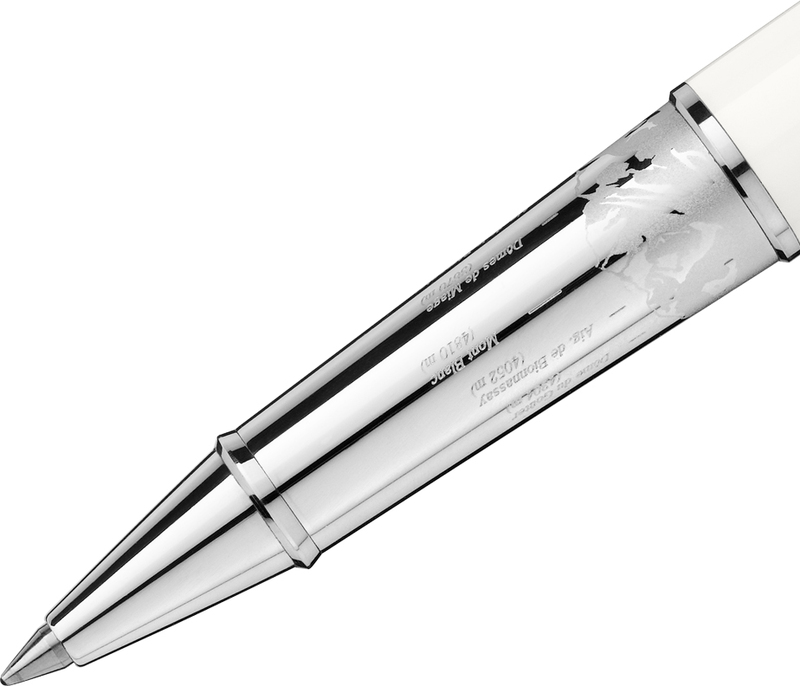 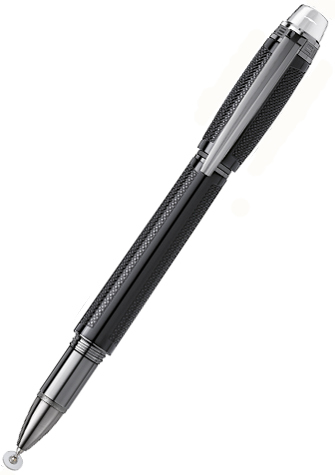 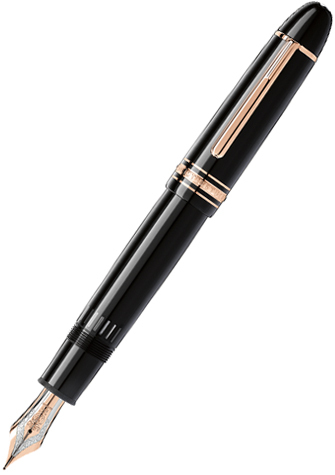 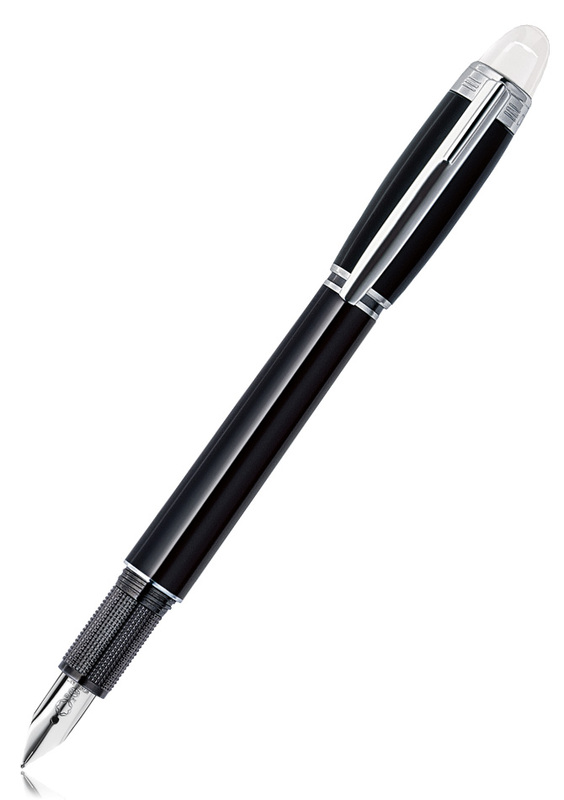 classique Rollerball that can also be used as a fineliner. 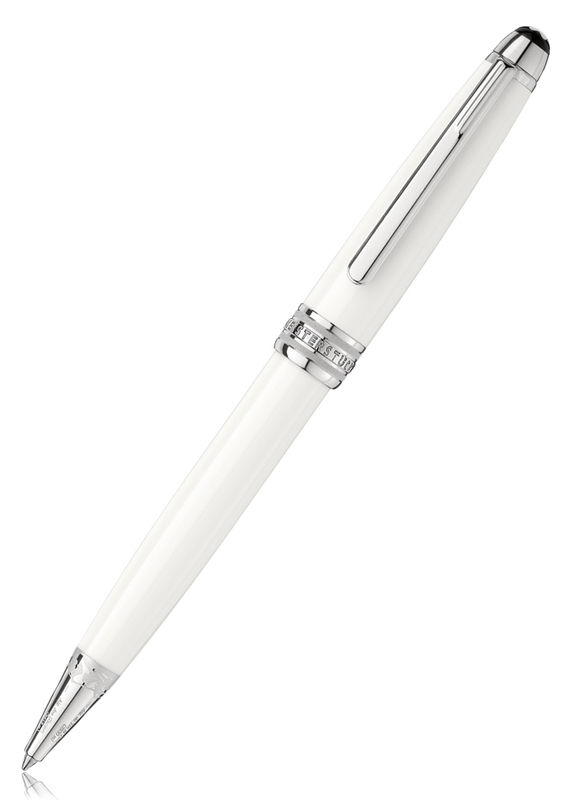 Cap and barrel made of precious white lacquer, Montblanc emblem finished off with snow quarz. 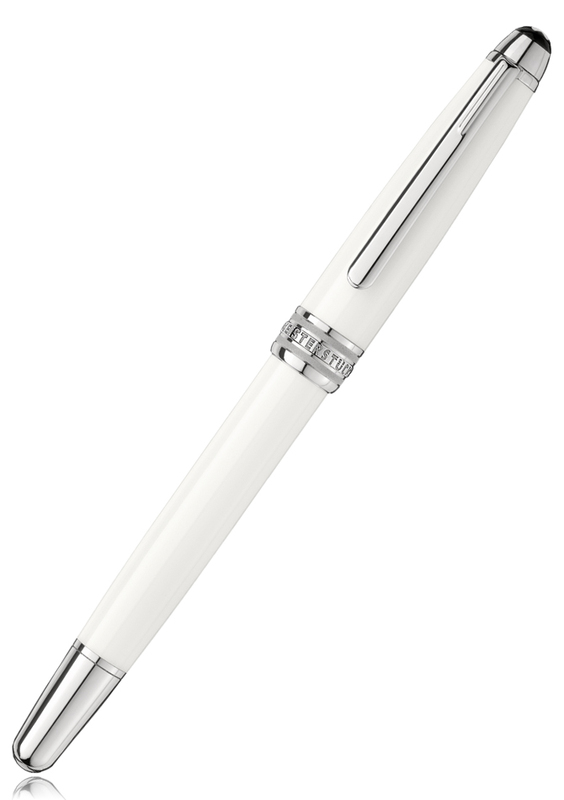 Platinum-plated metal forepart enriched with laser-engraved Mont Blanc massif and three platinum-plated rings embossed with the Montblanc brand name. 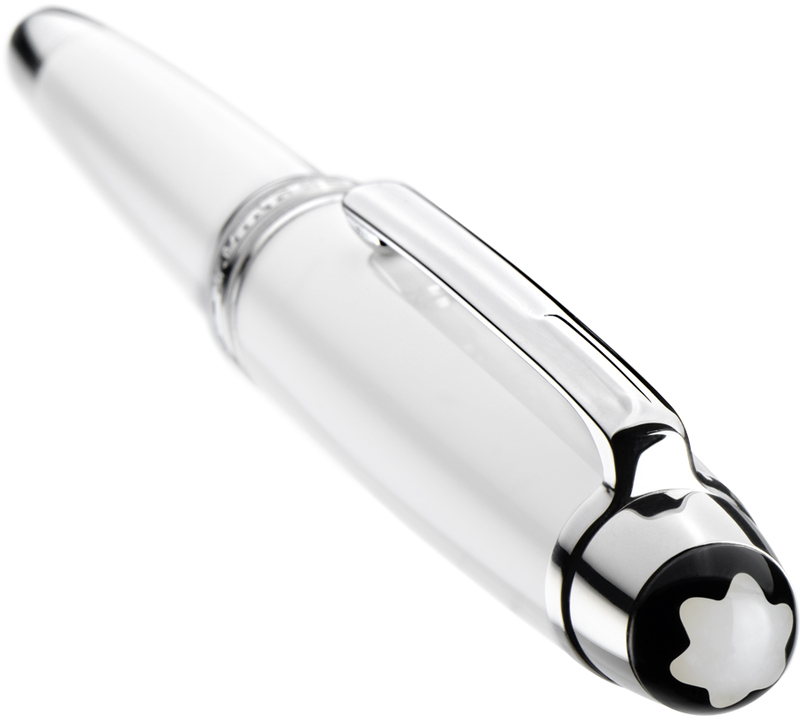 Clip platinum-plated. 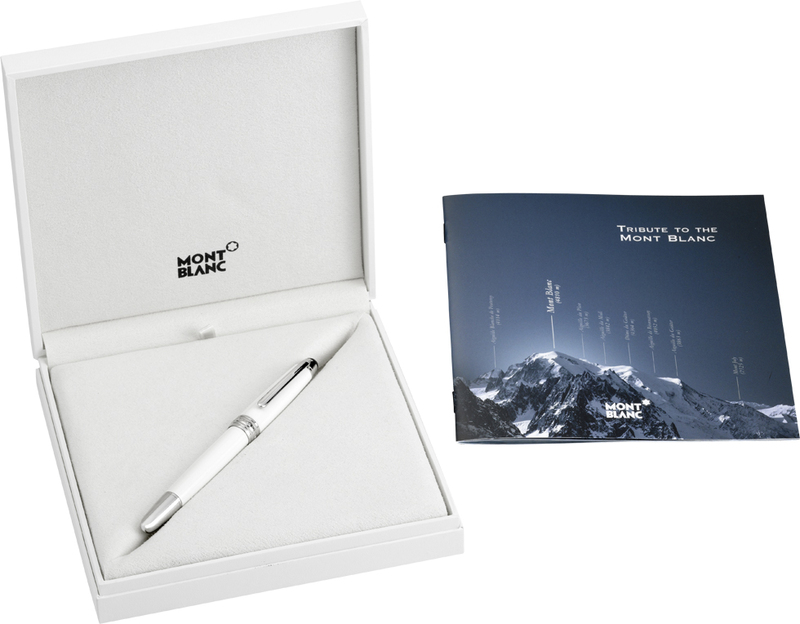 White Solitaire gift box with silver imprint.